Custom logo design for Australian based company, Speed Wash. Speed Wash specializes in post-race washing solutions to give your race team that polished look which will make your machine shine in the Winner’s Circle. 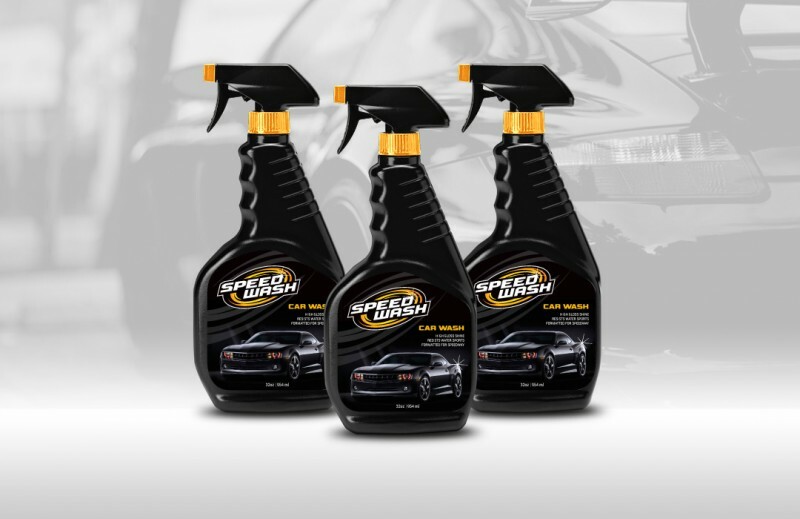 Speed Wash – Formulated for Speedway. SMD also developed a custom label design for the Speed Wash spray bottle application line. The overall appearance of the bottle design was intended to be sleek & sporty.